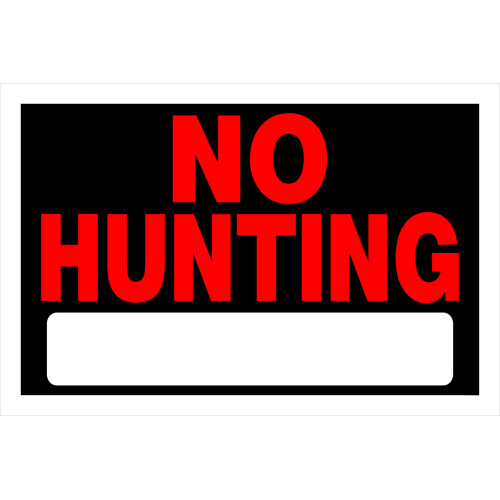 Protect your private property from hunting with this durable sign. Displaying clear and visible signs can help increase security and safety. This sign is sure to convey your message clearly and efficiently. 8" x 12" 15" x 19"